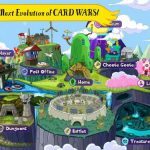 Card Wars Kingdom, in case you don’t remember the strategy guide we shared with you not too long ago, is a new game from Cartoon Network that’s based on the characters of the animated series Adventure Time. 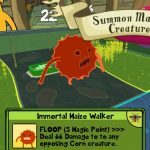 In specific this is a trading card game where you can put together a team of creatures and play the right cards to win card battles, use spells, landscapes, and flops to your advantage, and form alliances so you can borrow helper creatures. Those are just a few of the things you can do in this game, and a few days ago, we showed you some ways you can win more card battles, may they be against your friends, or against random strangers also playing the game. In order to have a better winning percentage, you need more powerful creatures. And to get these more powerful creatures, you can make use of gems, which are the premium currency of the game. 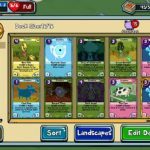 So if you need some help gathering more gems in this game, read on, as we will now be bringing you our newest Card Wars Kingdom strategy guide – a look at the ways for you to acquire more gems. It pays for you to play Card Wars Kingdom on most days, because playing even for a few minutes in a day counts as a login, and consecutive daily logins means more rewards. You can open a skeleton chest for each consecutive day, with the rewards varying depending on the day. That should give you very good incentive to take those requisite few minutes, though the good thing here is that your calendar will not reset if you miss one day. So on your fifth, tenth, 14th, 19th, 22nd, 23rd, and 24th day of playing the game, you will receive gems as part of the rewards from the skeleton chest. In fact, we would recommend that you try to complete all of these daily missions, which, as the name suggests, refresh every day and leave you with only 24 hours tops to complete them. Most of the time, you’ll earn bones, which are the game’s common currency used for regular pulls at the Treasure Cave. But if you’re able to complete ALL of the daily missions before the 24 hours expires, you will get the “A Hard Days Work” mission unlocked. Complete that mission and you’ll get 100 gems as your reward. It may take a lot of work in order to complete all those dailies, but it’s going to be worth it. Aside from your daily missions, you’ve also got your global missions, which do not expire after 24 hours and would be in place until you’ve completed them. You’ve got all the time in the world to complete those missions, and like the daily missions, the global ones aren’t really that hard to pull off. They are, however, more time-consuming, though most of these mission can be completed organically, meaning you can complete them simply by playing the game like you normally would. But what kind of missions are these? Some examples include playing a certain number of cards of a specific type, or destroying so many enemy creatures in card battles. Just to reiterate, this could get to be a bit time-consuming, and you may need to do more than your fair share of experimentation, but the rewards (125 to 150 gems) do make up for the time and effort and then some. 4. How Should You Spend Your Gems? Now that you know a few ways for you to collect more gems in this game, let’s tell you about the best ways to spend them. For starters, you can spend 100 gems to add five slots to your inventory size, which will become a necessity in time as you collect more cards. 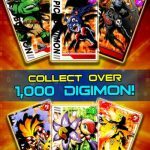 These are the cards you believe you will be using, and not the cards which you can use as sacrifices for the fusion process. You can also spend a hundred gems to refill your hearts, but we would advise you very strongly against doing this, as your hearts refill over a short period of time. Just be patient, and don’t jump the gun by replenishing hearts with gems! For another do-and-don’t example, you should use your gems to open a premium chest, which would give you the best odds of drawing a rare creature. That’s going to cost 500 gems a pull, so make sure you’re saving up before doing this. On the other hand, you should not use your gems to open chests that have cake inside for level-up purposes – the game allows you to pay 25, 100, or 200 gems to open these chests, but it really isn’t necessary, as you’ll often find cake during battle anyway.